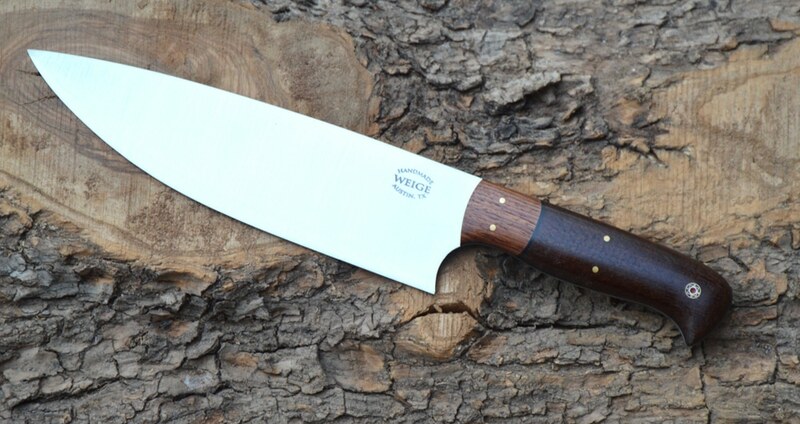 Custom utility / chef knife in tamarind. 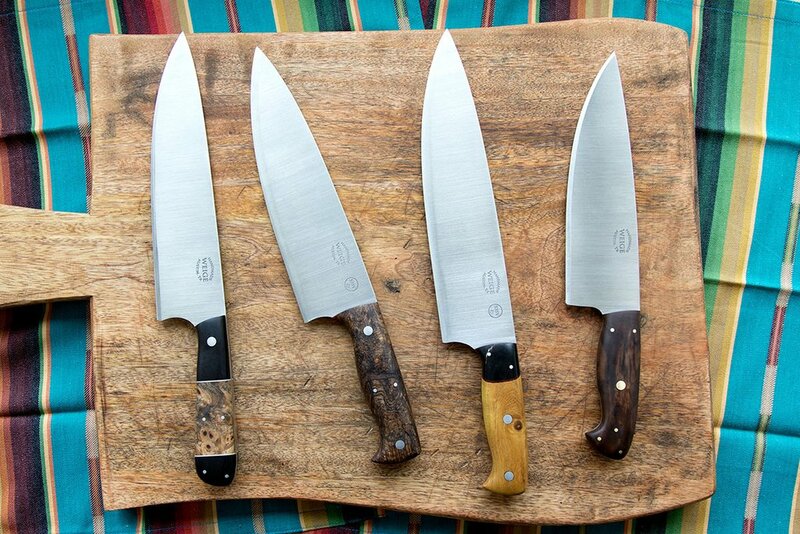 Home/Finished knives./Custom utility / chef knife in tamarind. 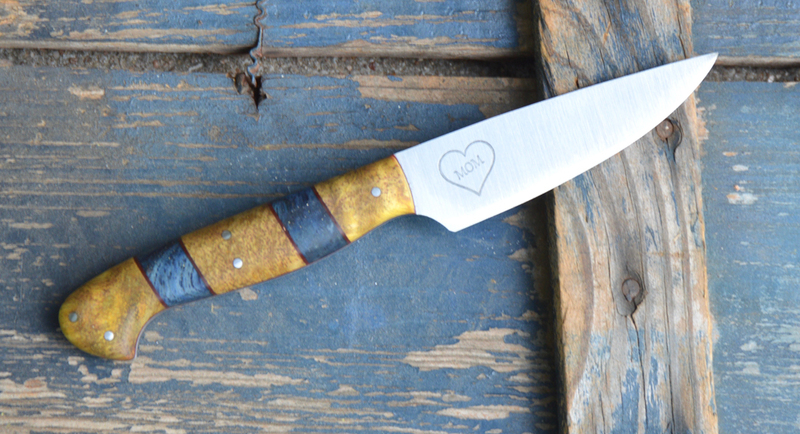 We finished a custom utility knife / small chef this week. The handle is stabilized tamarind wood w/ dove tailed, lychee wood bolsters. Black liner and copper mosaic pins. 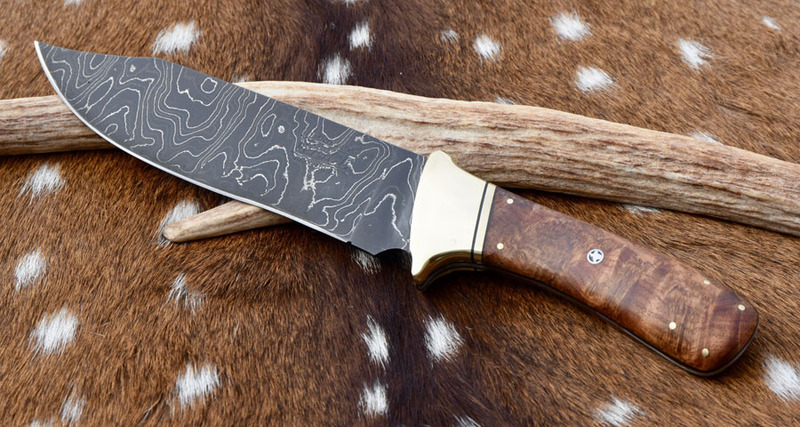 6″ 440c blade, 11″ overall length. 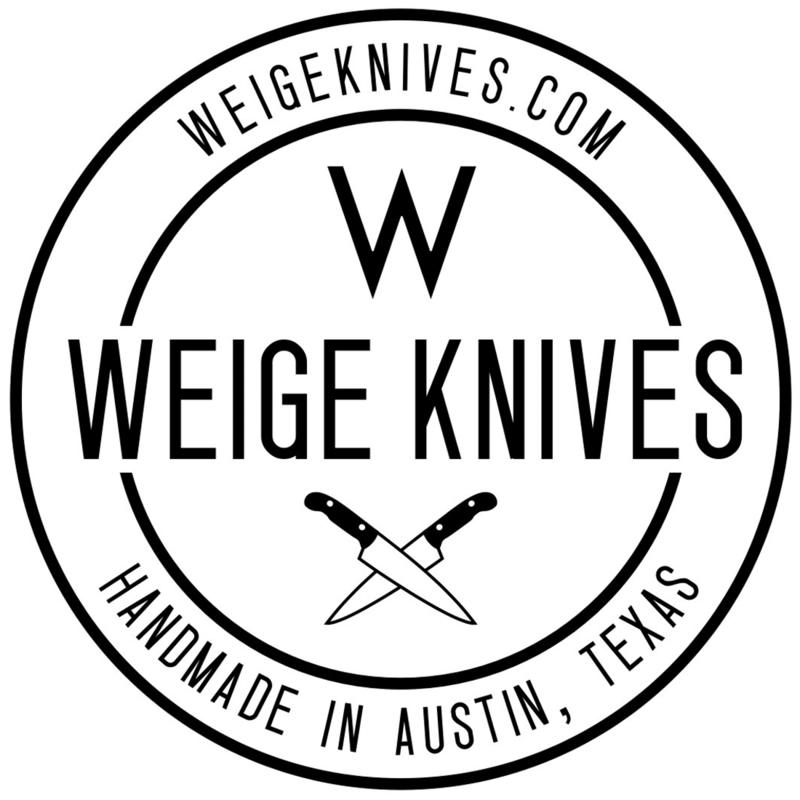 The small utility knives are very handy and could be one of the 3 main knives you keep in the kitchen. This was sold to a customer in Austin, TX.